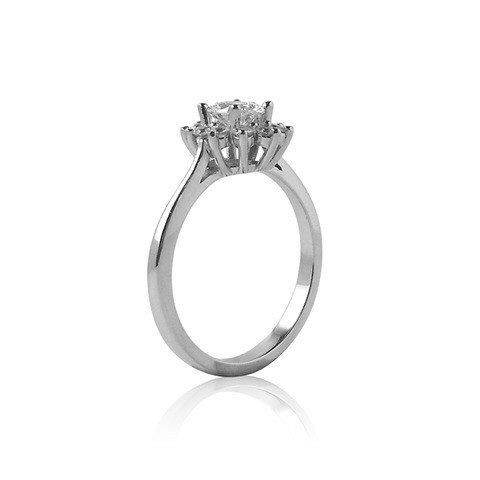 The claws in this halo engagement ring create an vintage-inspired star effect around the oval diamond in the centre. There are additional pictures of this ring style to look at in yellow gold with a diamond as the centre stone, and in platinum/white gold with a sapphire in the centre. 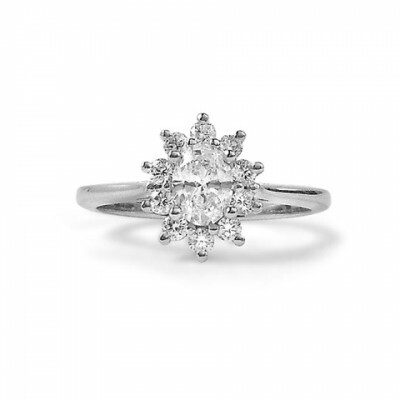 This ring can be made in platinum, white gold, yellow gold, or rose gold with a diamond, coloured diamond, sapphire, ruby or other coloured stone in the centre.